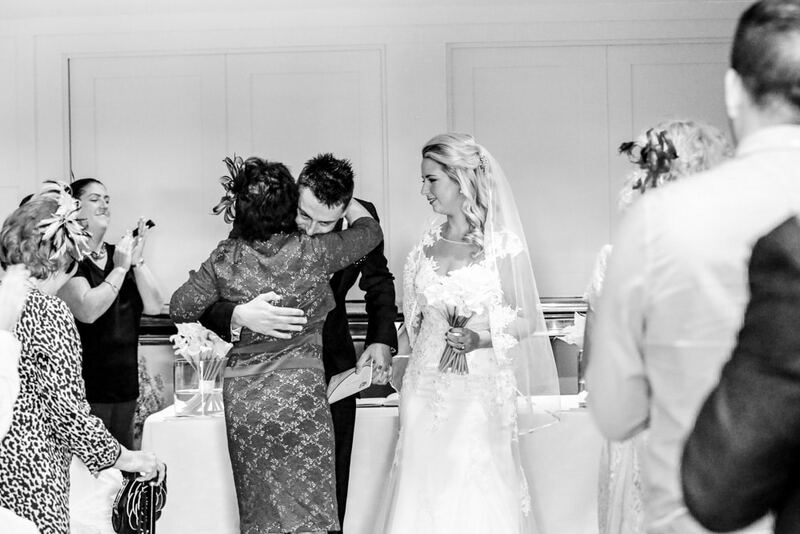 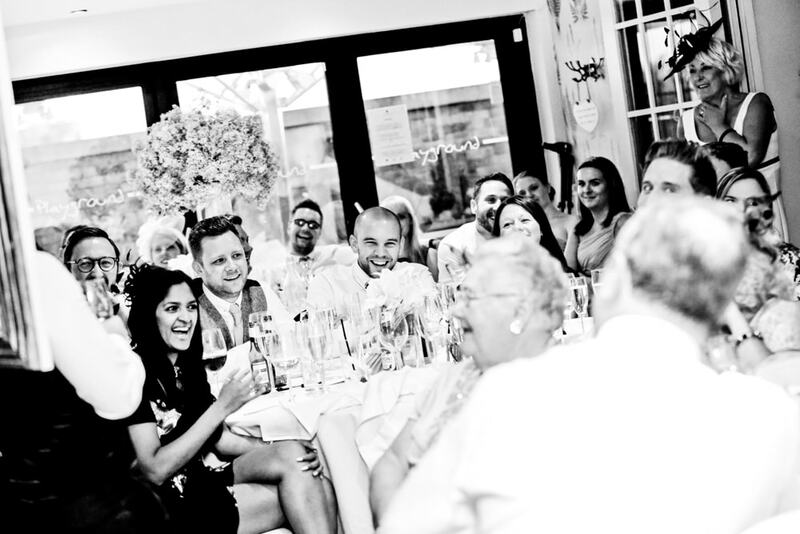 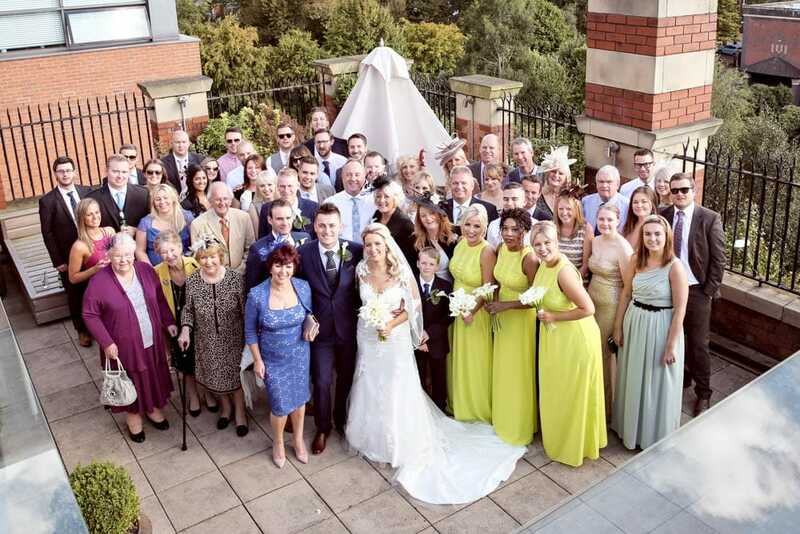 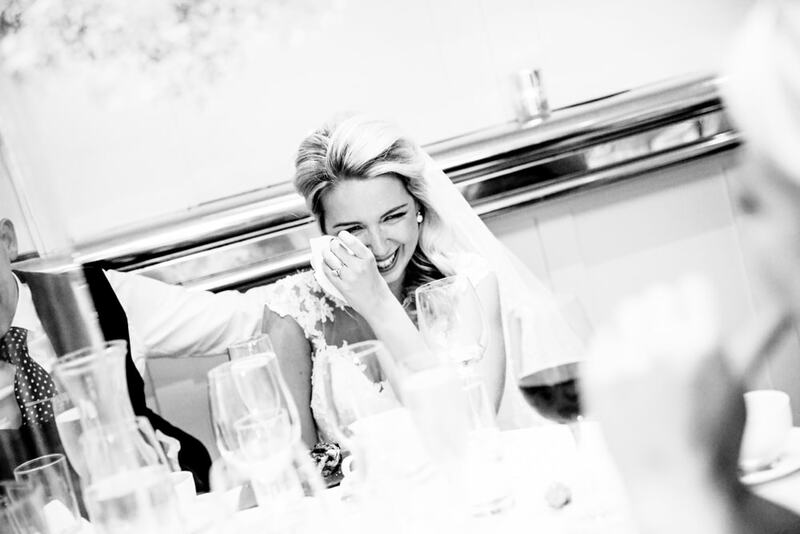 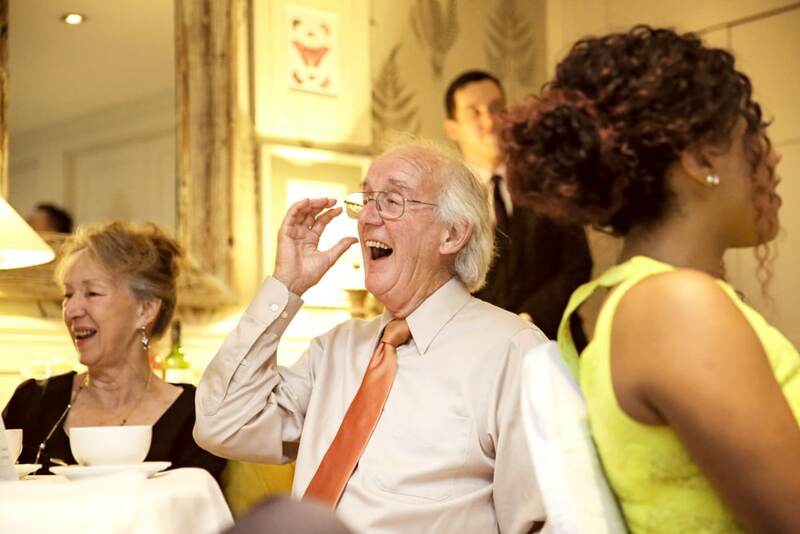 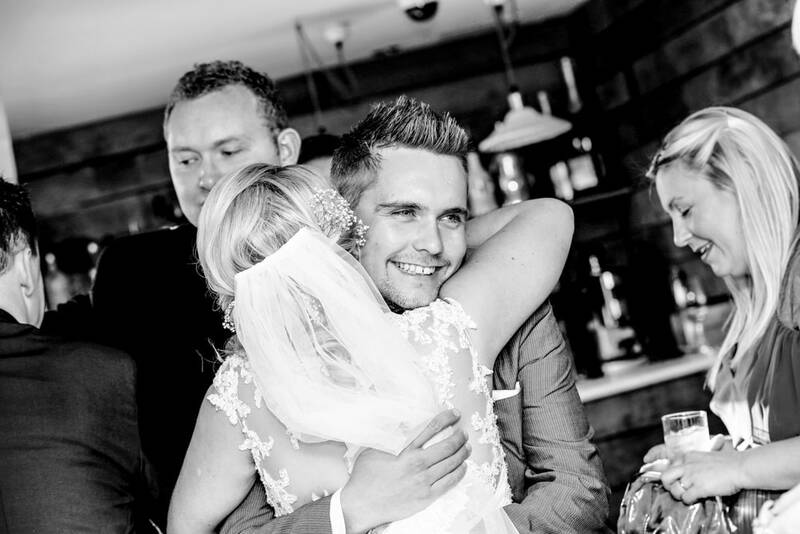 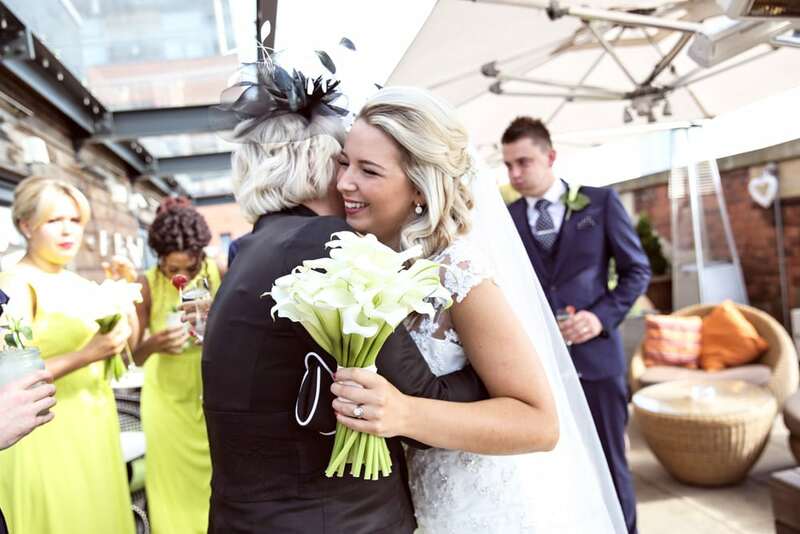 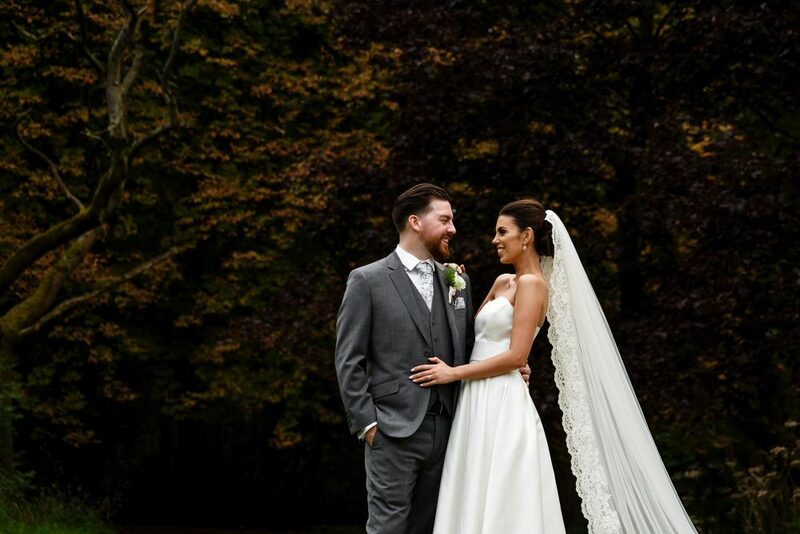 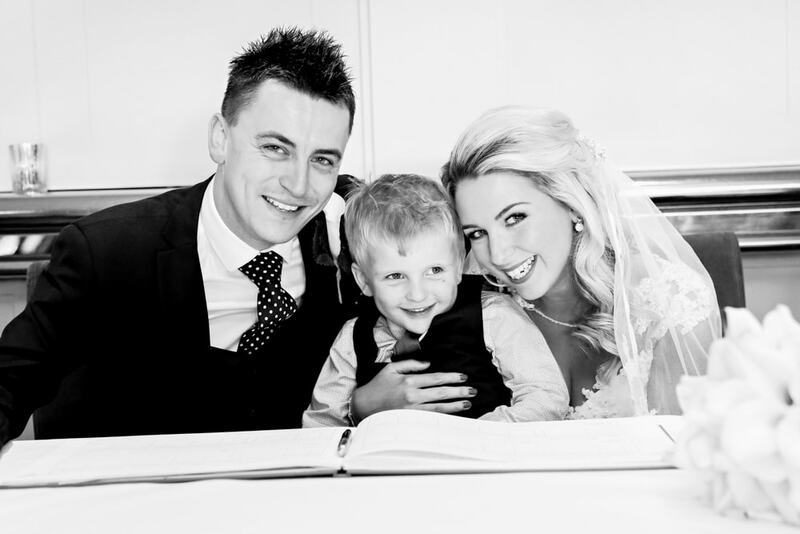 We LOVE Great John Street Hotel Weddings and the weather was amazing for September on Louise & Ash’s big day. 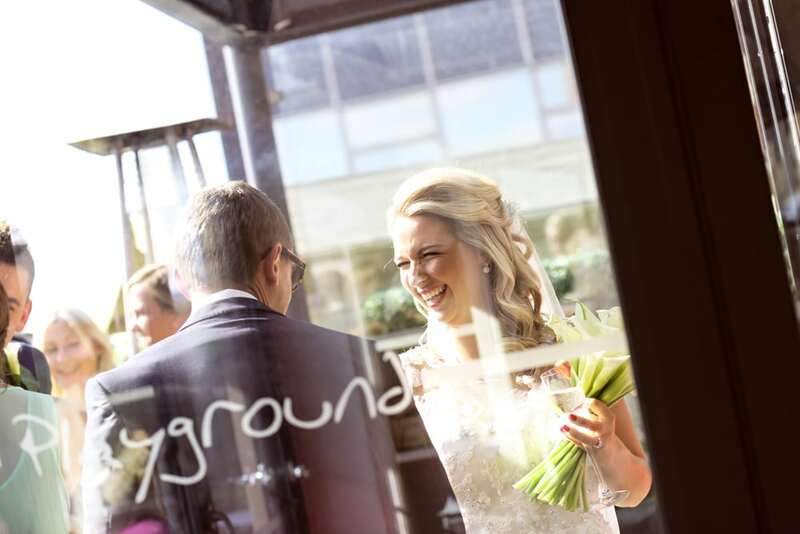 With clear blue sky and a lovely warm breeze and plenty of sunshine, everyone was smiles all day. 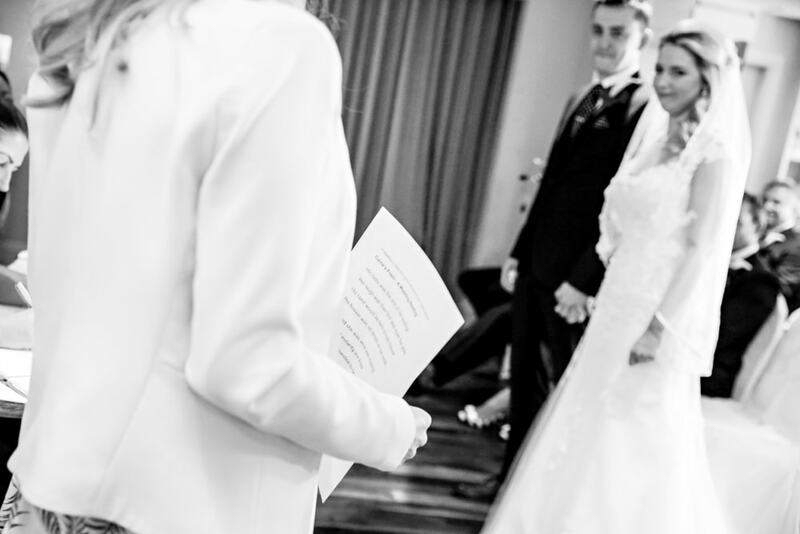 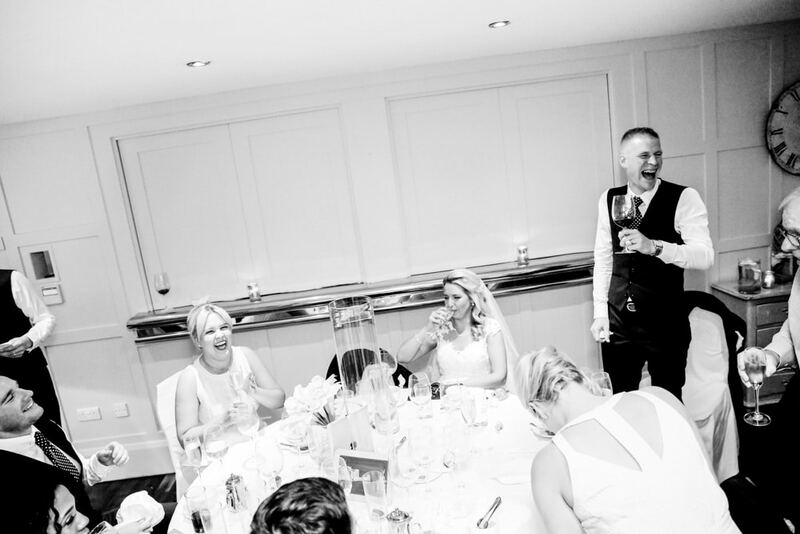 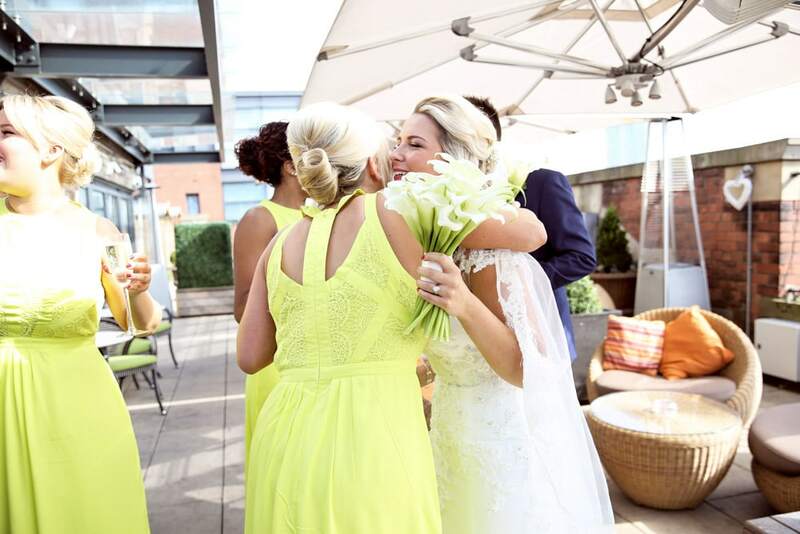 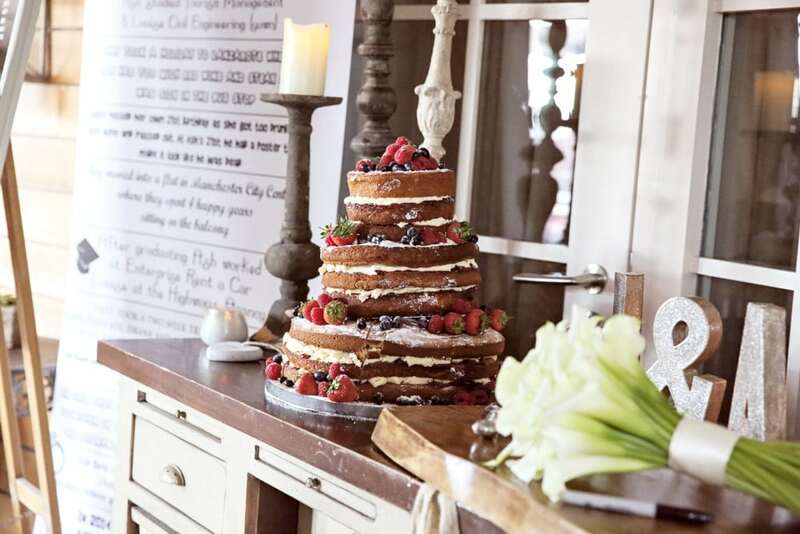 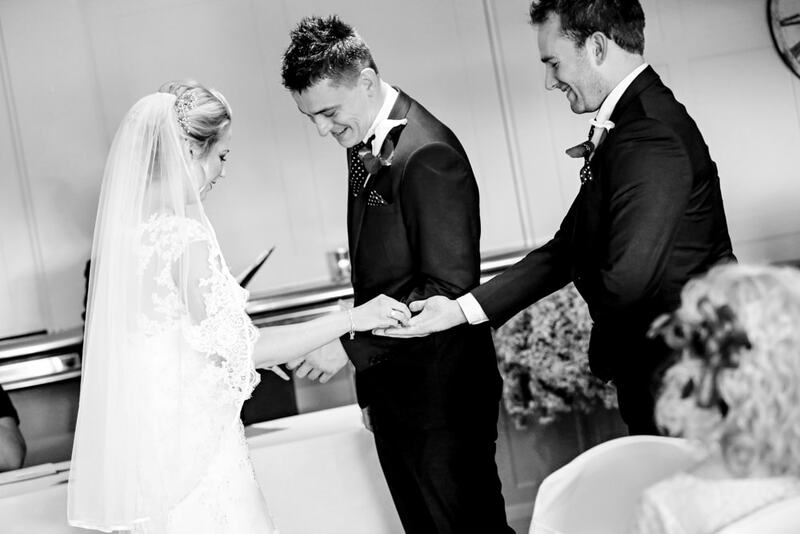 The wedding was held at Great John Street Hotel this 5* boutique hotel in the centre of Manchester creates a very intimate and warm setting for such a romantic occasion and is an ideal venue for weddings. 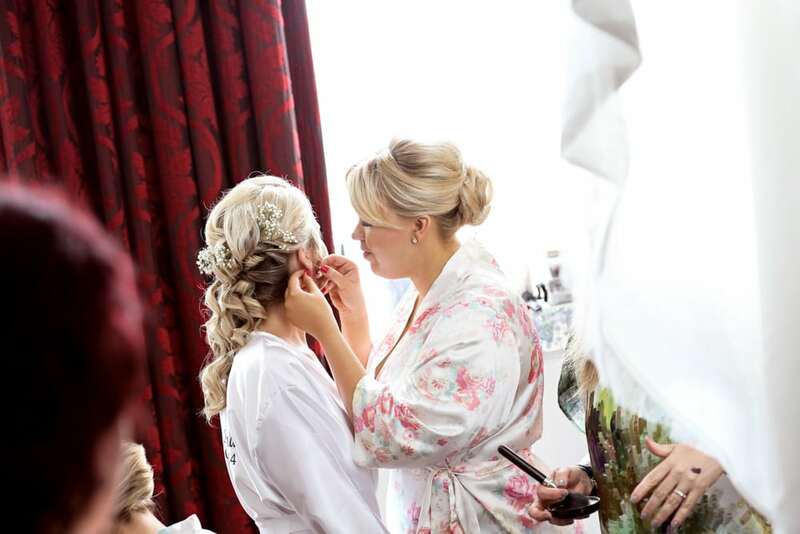 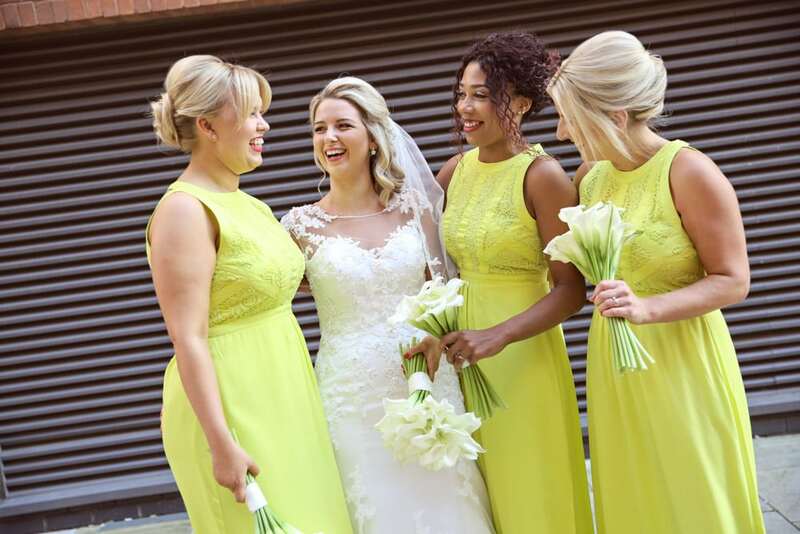 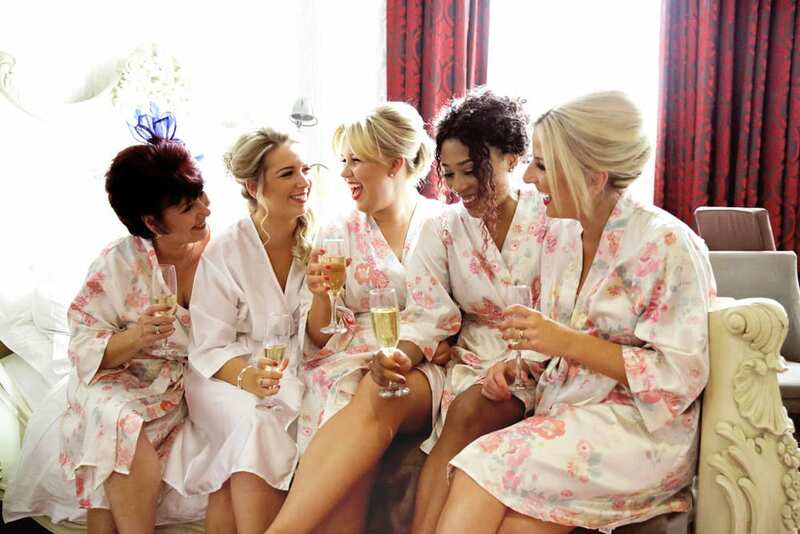 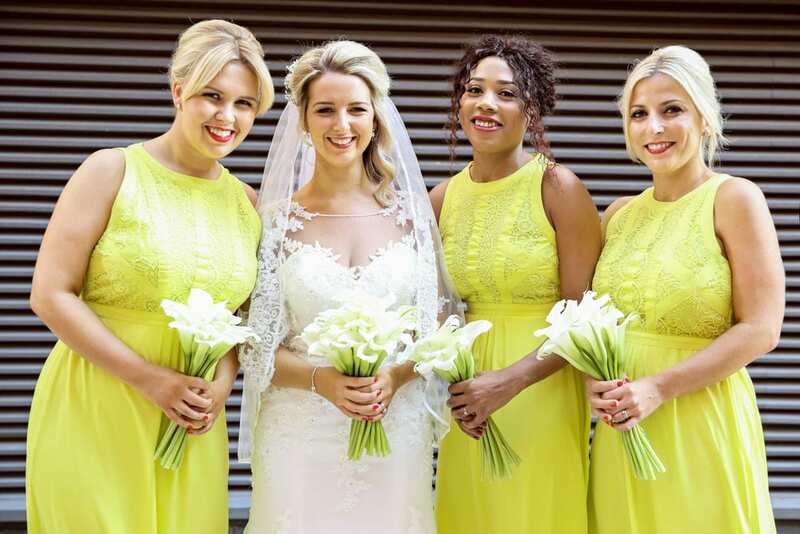 The day started in the beautiful bridal suite and the colour Louise had chosen for her bridesmaid dresses warmed the room, it was such a beautiful choice of colour. 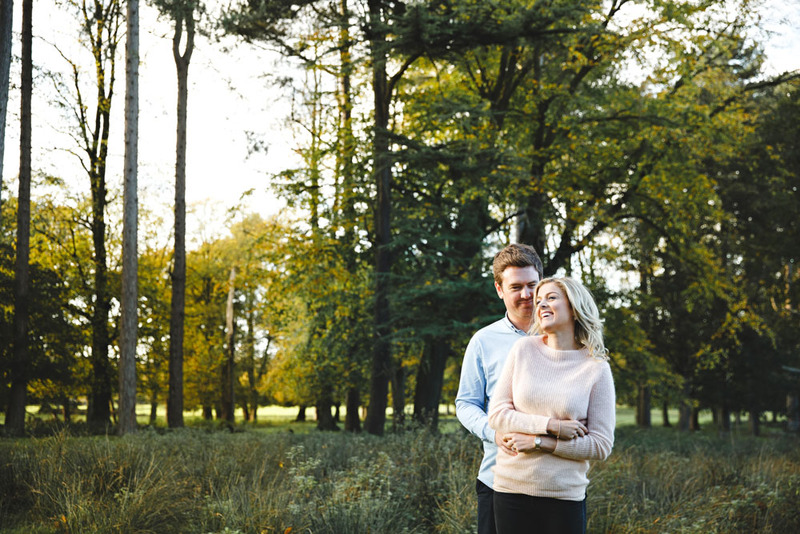 Ash arrived in a Camper Van, which was fun, we do love it when Bride + Grooms put their own personalities into what they choose and this suited Ash. 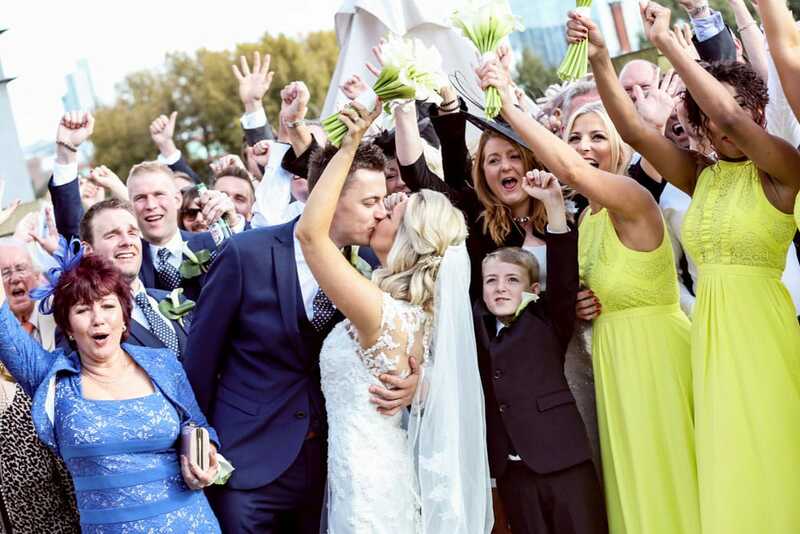 After the ceremony we headed outside for photos then we walked into Spiningfield whilst Louise and Ash went on a tour of Manchester in the Camper Van. 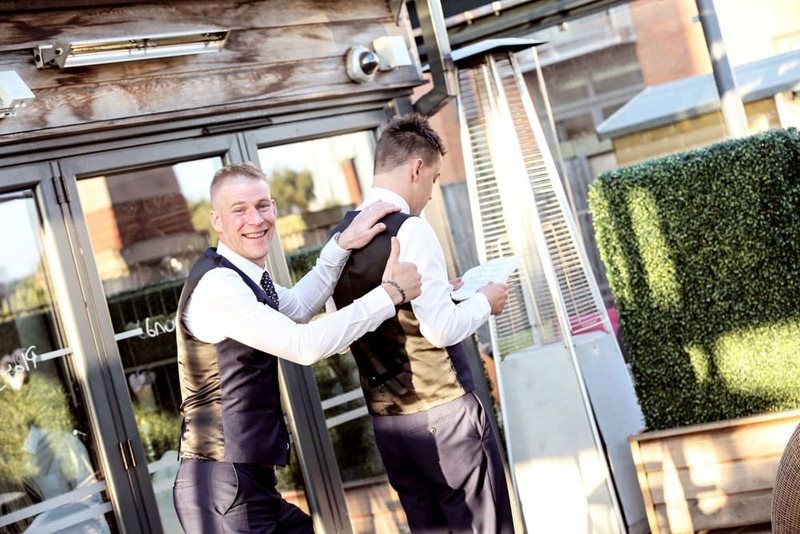 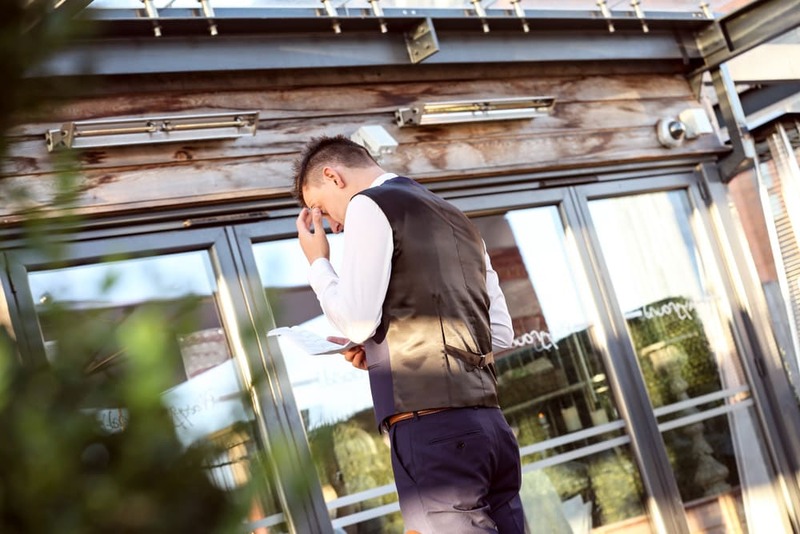 After the photos, it was off for a lovely meal at Great John Street Hotel in their upstairs area, the beautiful sunshine and warm glow of the sun setting made a lovely atmosphere – real cosmopolitan. 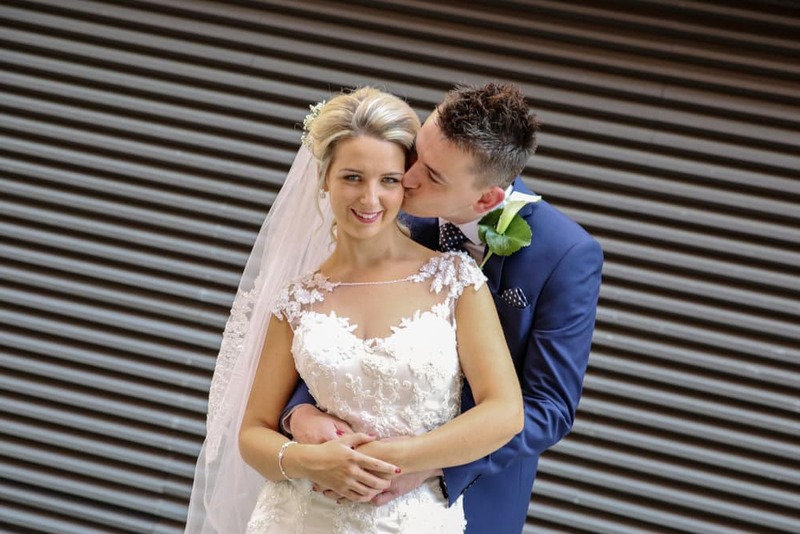 Manchester city centre is perfect for weddings, it’s changed so much over the years with new developments yet it’s still kept it’s charm and character. 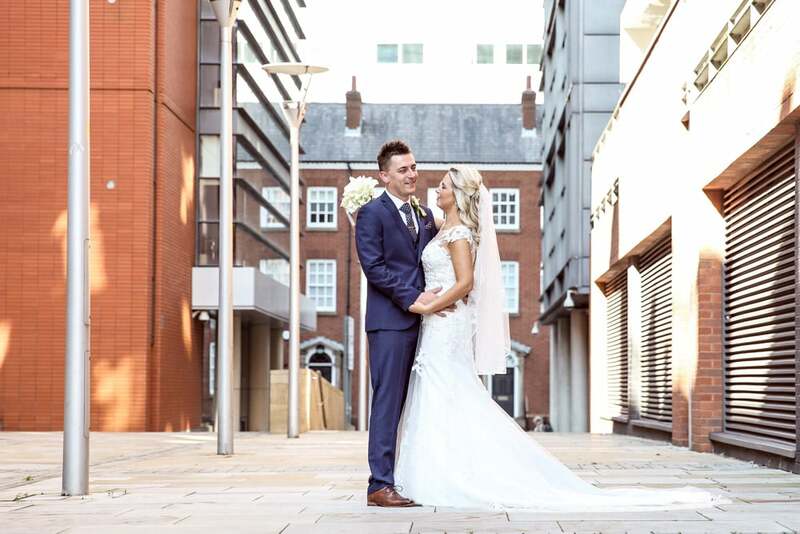 I’ve never been a fan of new but some of the city centre locations that are new look amazing against the old buildings so it’s a match made in heaven, just like these two. 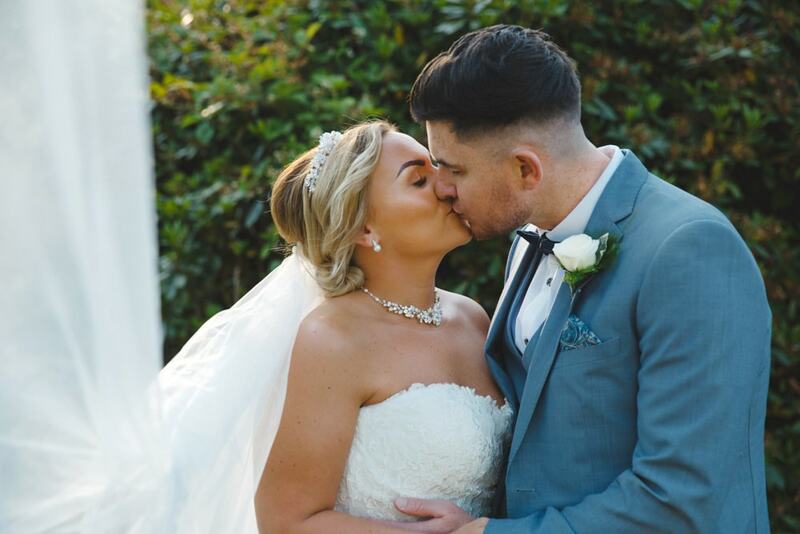 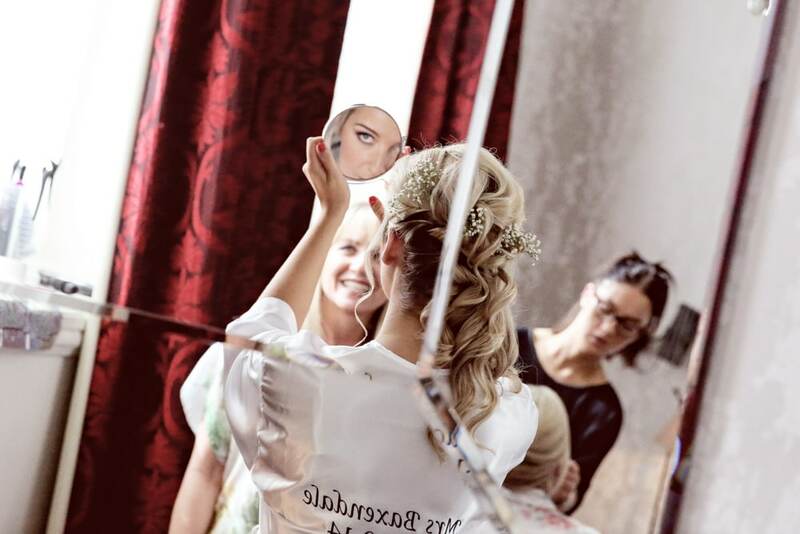 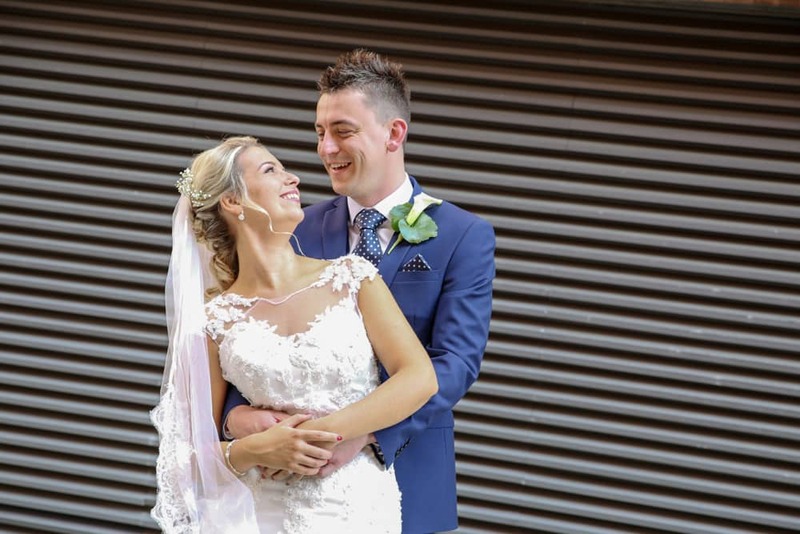 We do love to congratulate all our Bride and Grooms and hope they have a fantastic honeymoon, it’s such a pleasure to share their amazing day and we can’t wait for you to share the photos with your friends and family.